Very often, when I'm enjoying a book, I experience a certain amount of trepidation about where it's going to end up. Many a promising book has fallen apart in the last third, usually because a clever premise lacks the necessary legs, or an equally clever conclusion, or the not-clever conclusion doesn't offer anything else to make it worth the journey (like character, or writing, or setting). This book did not do that. This is one of the few books I've read where I had total confidence in the author from the off. I loved it even more by the end than I did at the beginning, and that is a rare, rare thing for me. Sure, I could sit here and make pedantic comments about what would actually happen if you tried walking to Berwick in unsuitable shoes, or complain that there are no great surprises plot-wise, but those things didn't matter because this is wonderfully written and has well-drawn characters who are relentlessly human. It's sad, it's funny, it has buckets of charm which never risks becoming saccharine thanks to the emotionally true (and *raw*) undercurrents. I had to stop reading it in the Post Office queue because I was wearing mascara at the time. So, yes. I loved it utterly. Normal cynical service will be resumed forthwith. Labels: Amazon Owns my Soul, Rachel Joyce, Read 2013, Read this. 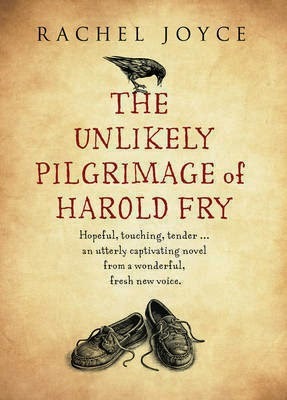 Read This Now, The Unlikely Pilgrimage of Harold Fry, Walkies!